What happens when you give our design team a box of new crayons? 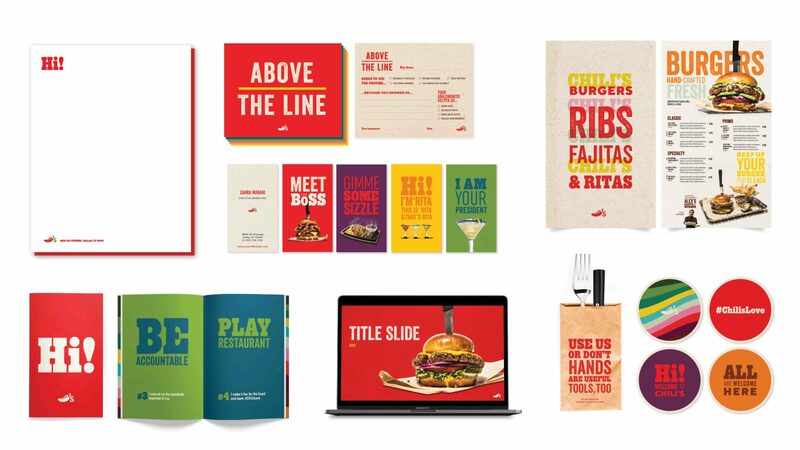 Well, they they crank out a colorful new, company-wide look and feel for Chili’s. Everything from brand handbooks to broadcast lock-ups and more. 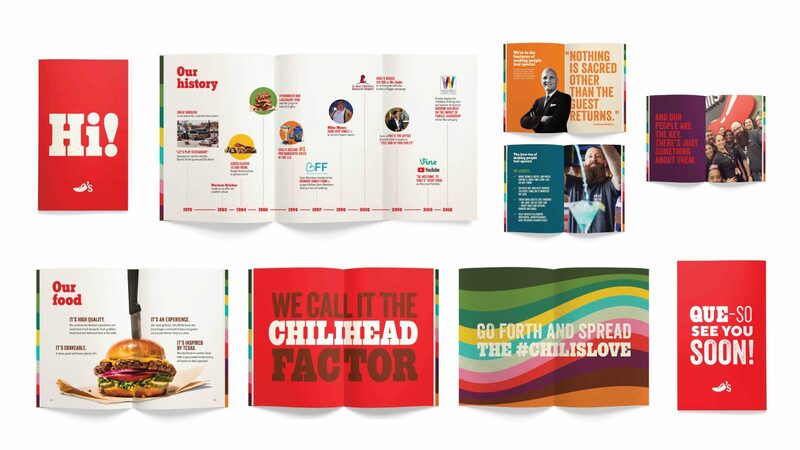 This warm, fun aesthetic—spread across all channels—really captures the come as-you-are inclusiveness and welcoming spirit that’s felt the second you walk into a Chili’s.